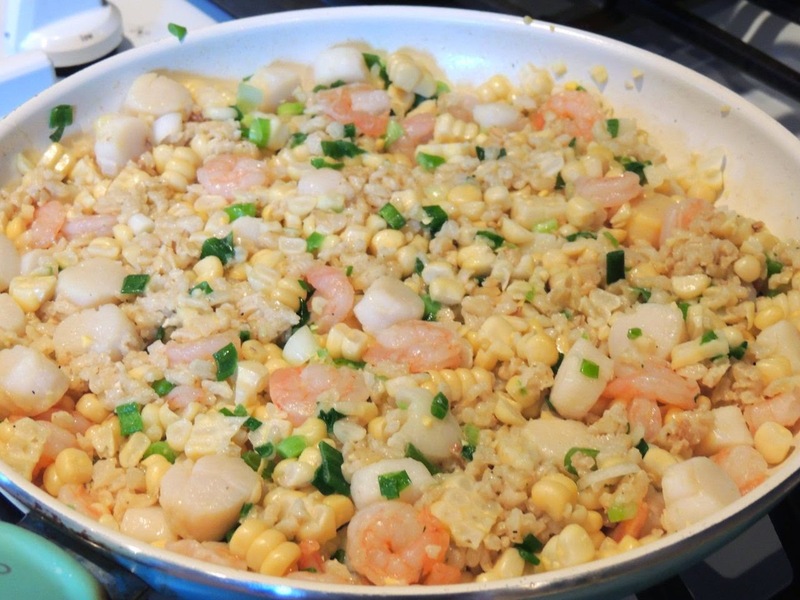 The inspiration for this recipe came from a recipe in the July/August 2014 issue of Fitness Magazine (my all-time favorite magazine) for Shrimp, Corn and Scallion Risotto. I made a bunch of changes, using ingredients I happened to have on hand and came up with a definite hit. My husband and I have dubbed this a “do-again”. 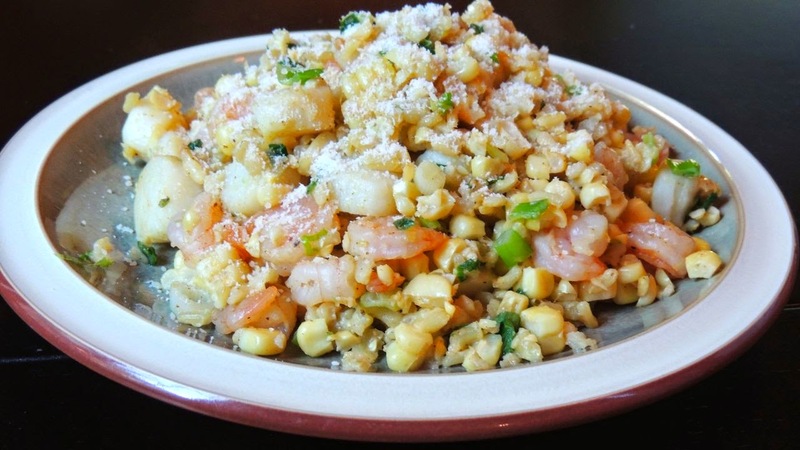 That’s what we call a recipe when we know we’ll have to make it again and again and again! Spray a large pot or frying pan with cooking spray and heat over medium heat. Add scallops and cook for a couple minutes. Then add all other ingredients except Parmesan and cook and stir until heated through. Divide onto two plates and sprinkle with Parmesan.